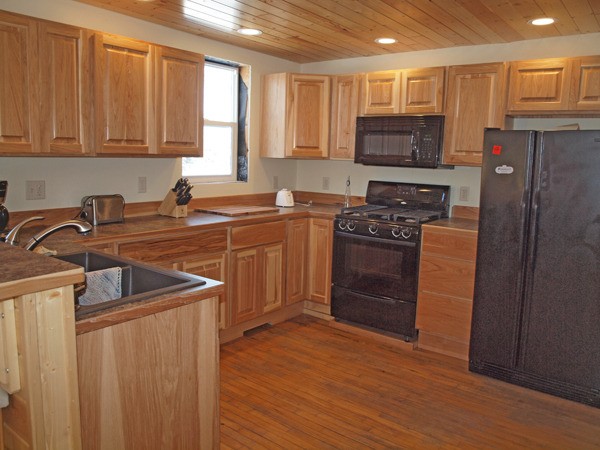 Beautful kitchen, new T&G paneling, and many other improvements. 14982 S Lawler Bridge Rd, Wascott, WI. 14982 S Lawler Bridge Rd, Wascott, WI. Wonderful opportunity to own this year round home in a postcard-pretty Eau Claire River setting just a few miles south of Gordon, WI. 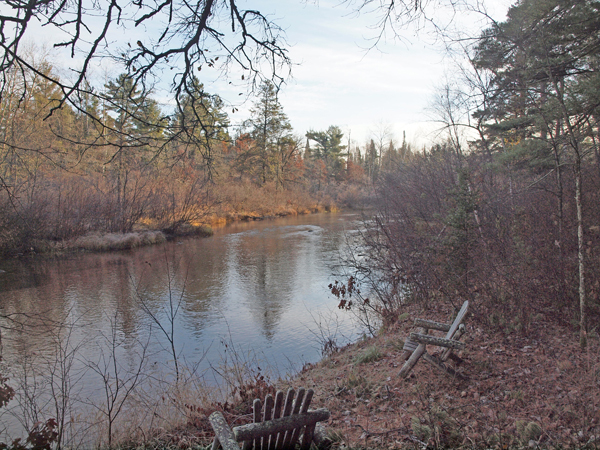 2.57 acres in the tall pines and 607′ river frontage. Many new improvements: electrical, plumbing, roof, insulation interior and exterior, kitchen, hickory cabinets, bath, LP smart siding, windows, heating and baseboards, T&G paneling, 200 amp service. There’s some finish work to do, but a great value in this wonderful Gordon/Wascott recreation area with hunting, fishing, boating, trails, more. Only 45 minutes to Superior/Duluth, 1.5 hours to Eau Claire, 2.5 hours to Minneapolis/St Paul. Click here to see additional pictures of this Eau Claire River home. Wascott is located on the very southern edge of Douglas County Wisconsin, bordering Washburn County. With more than 100 pristine lakes to fish, swim and boat, the possibilities for recreation are endless. Experience the wonders of nature while you canoe down the St. Croix, Namekagon, Totogatic, or Eau Claire Rivers. Find more homes in the area.